A new image found inside of yesterday’s iTunes 12.2 update for Apple Music has Gold iPod Nano , New iPod Touch & shuffle colors. 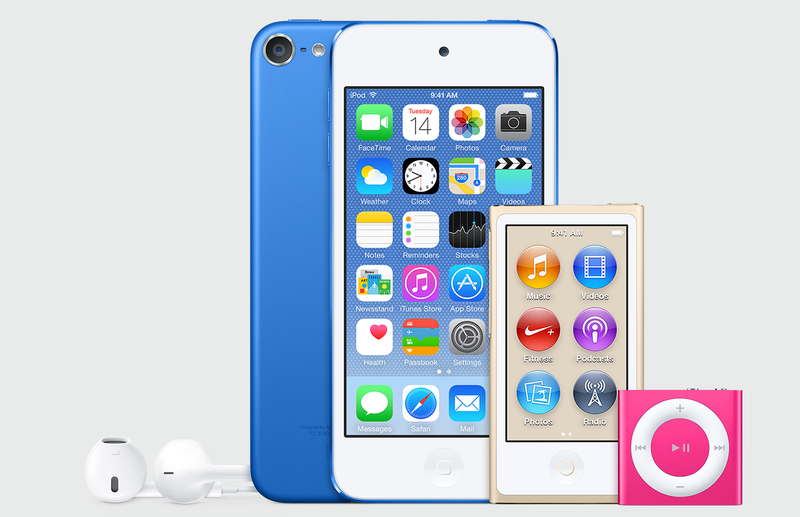 This indicates that Apple could be preparing to refresh its aging iPod lineup with new colors. So when you plugin your ipod first time in iTunes the above image showcasing a dark blue iPod touch, a gold iPod nano, and a dark pink iPod shuffle appear and None of those iPod color options currently exists. There is currently no indication as to if and when Apple is planning to release new iPod colors, but we are told that iPod nano and touch stock at Apple Stores is currently seeing some temporary shortages. Previous Previous post: Jailbreak For iOS 8.4 For iPhone, iPad, iPod touch is Here !